I adore my sheepskin slippers made by my boyfriend Jeremy and his mom Frith. Jeremy cuts and punches the slippers and Frith, who has been making them for 15 years, stitches and glues the soles onto them. They are a great team. 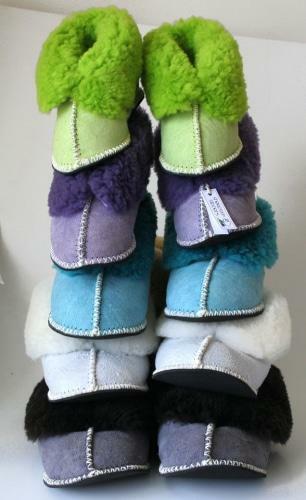 The slippers are made from genuine Sheepskin’s that have been dyed offering a gorgeous array of colours to choose from: purple, pink, lime, blue, charcoal, cream, orange, turquoise, plum…. you name it. (Note: colours are subject to availability). For years Frith and Jeremy have sold to Cape Town and they have just opened an etsy shop (www.sheepskinslippers.etsy.com) selling to everyone. They usually only make to order but becuase of the nature of etsy, they have made a few for the shop as stock. If your size and preferred colour is not there, then simply send them a convo and they will make it up for you in no time at all. Click here to visit their shop. This entry was posted in Blog and tagged Cape Town, hand made, sheepskin, sheepskin slippers, Shoes, slippers. The Brilliant Fire extinguisher *idea! HOw beautiful! I used to have this type of slippers when I was a kid!! how great!!! I like that they are dyed…funky! 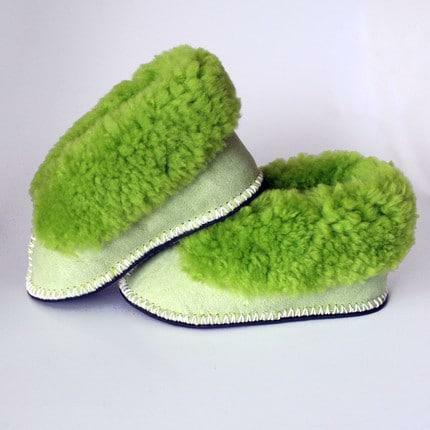 Wow…great slippers.Such shoes I could need here at the moment because I have often cold feet.Have a nice weekend! I had a pair of sheepskin slippers for 10 year, my daughter who lives in Cape Town has sent me a new pair for my Christmas, they are the best slippers ever,and sooooo warm,I need the good ones as i live in Scotland. My old pair of slipper i handed in to the salvation army,as they were still good after 10 years.